With experience gathered through years of working in both private practice and school-based environments, Cara is a Clinical Psychologist that brings a range of therapeutic skills and knowledge to her practice. Cara works with a wide range of clients and sees children, adolescents, and adults for varying therapeutic needs (listed below). The knowledge and experience she has gathered, together with her own understanding and adaptable approach, shows through in her work and her relationships with her clients. Here, she recognises and values greatly, that everyone has their own individual needs, and their own unique context and circumstances. At all times Cara is seeking to understand her client, their needs, wants and everyday considerations. She places a strong emphasis on building a positive, understanding and supportive therapeutic relationship with her clients, through which positive change can be created. Cara practices at our North Adelaide location and is available full time including evening and Saturday appointments for your convenience. Cara has a relaxed, genuine style so that working with her is a fulfilling, positive and meaningful experience. Cara finds that her approach allows clients to quickly feel at ease and supported to establish, then work toward their therapeutic goals. These goals are achieved through “talk therapy” that allow a client to share their experiences, and Cara to share her knowledge. This dialogue between Cara and her client assists in creating very real, practical plans and methods through which change and goals can be achieved. Having worked in teams made up of many different therapeutic disciplines, Cara is also able to include her experience and interest in other areas, such as the role our body, as well as our mind, has in our everyday experience and in her client’s journey toward their goals. Cara puts a lot of effort trying to create an environment of ease and comfort for all her clients. She takes special care to ensure that her youngest clients experience this also. Cara creates an easy, comfortable, and as much as possible, fun space for her younger clients to experience. Connecting with each child on their level and creating a safe, nourishing environment, Cara is passionate about working with her younger clients to guide them on their journey, and support them to achieve the change and growth they need. With a strong belief that this change occurs when she works together with not just the child, but also their family, to support everyone on the journey to achieve the goals they established early in their therapeutic relationship with her. Enjoying the change in modality, Cara uses play, movement, visual aids and each child’s own interests when working them, taking great care so that they can enjoy their time learning with her. Cara believes her role is to help her clients ease, manage or resolve the issue(s) they or a loved one, in the case of children, are experiencing. She supports her clients to realise and strengthen the skills, abilities, and understanding they already possess, and with the kind, strong support we often need and seek in times of difficulty or distress, teaches and guides further skill and knowledge development. 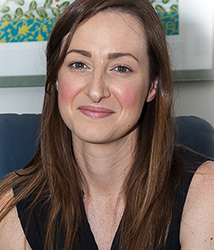 Cara draws from a range of therapeutic areas including Acceptance and Commitment Therapy (ACT), Cognitive Behavioural Therapy (CBT) and Behaviour Therapy, allowing her to tailor her approach to each client based on their own unique therapeutic needs.